I have a wonderful kitchen window–it’s big, so looking out is a bit like being in a tree house since it’s the second story. What makes my view so special is the large maple tree just outside. It’s a wonderful reflection of the season: bare reaching branches in the winter, deep maroon blossoms, and leaves in spring, verdant and lush green in summer, and flaming crimson in fall. A kaleidoscope of the seasons. 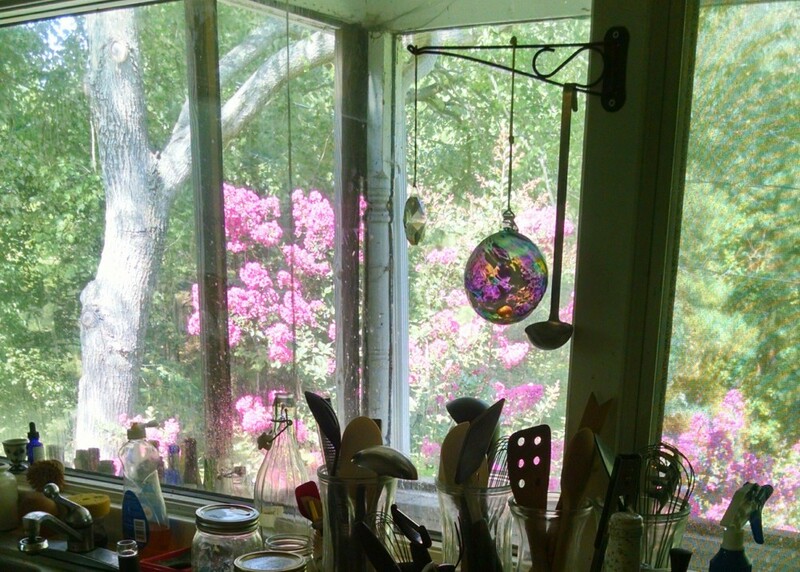 My morning coffee is made right there by that kitchen window, so I start each day aware of the season and it will help me decide what to cook, or not to cook. More than just the season, my morning peek at the kitchen window while I make my espresso advises me of the weather, too. That’s something else I need to know to start my day. Not that I have to go outside, since my freelance indexing work lets me stay at home, but because of this big window, I’m not hidden in a room with artificial light, with no idea what is going on outside. Even without stepping out into the snow, my kitchen window tells me that perhaps I should get some chili con carne out of the freezer for lunch. Or if it’s just rather grey and rainy, perhaps some quick lentil soup? Or is the maple tree displaying signs early spring? The lacy deep red of the buds suggesting to me that I can soon think about fresh asparagus, or maybe shad roe. The lush, verdant green will signal hot weather and a need for something cool like a caprese salad, or maybe even a southern style tomato sandwich that will be so drippy that it must be eaten standing over the sink looking out the kitchen window. Perhaps, a bowl of cold beet soup that’s satisfying but so refreshing. The brilliant orange and scarlet leaves blowing against a grey sky will suggest a one-pot meal, or something with greens and sausages, hearty and warming. Awareness of the season and the weather within each season–affects my appetite and what I shop for and cook. Perhaps that not such a good thing in that I just can’t do meal planning. Well, let me state that another way–I’m organized, and I can do the planning, but I don’t. 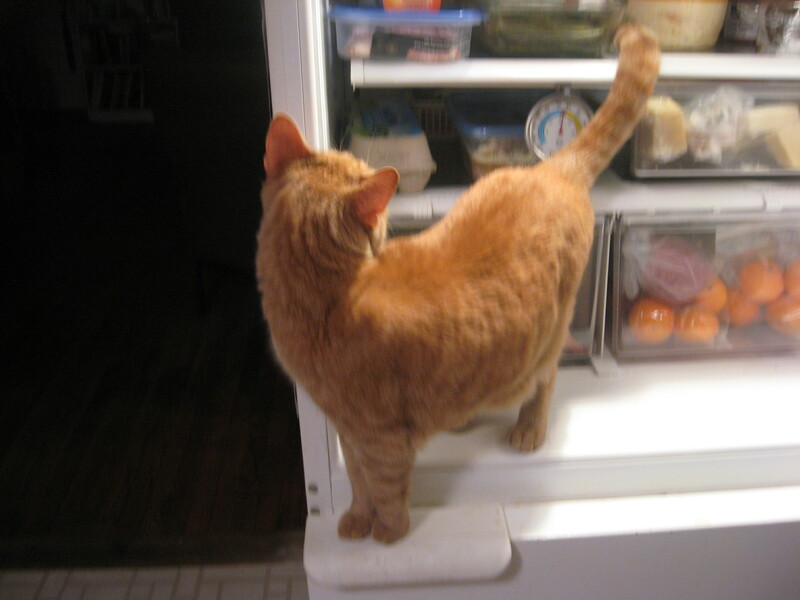 I’m likely to find that I don’t want to eat what was “planned”–so something gets put into the freezer as my kitchen window changes what I want to eat. I don’t do a weekly shop and bring home the makings of multiple meals. I’m almost a daily shopper since I live close to the market and working at home (with only Frankie (the cat) for company and adult supervision) it’s good from me to have a reason to get away from the computer; food-related things provide that reason for me; otherwise, I could easily stay inside, particularly in hot, humid, muggy weather. Though I’m not an absolute locavore, I do think that seasonal eating is tastier than off-season produce. Besides I like some of the under-appreciated vegetables, like beets and cabbage.